Kimmage is the focus of a new documentary that tracks his ongoing fight against doping in cycling. It’s a wry remark, but its inferences undoubtedly ring true. 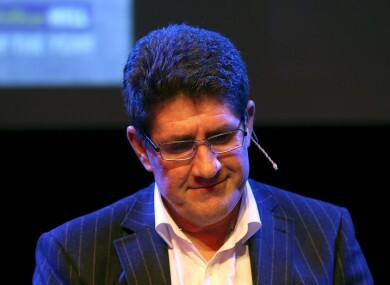 Since of the publication of Rough Ride — Kimmage’s seminal exposé on the widespread use of performance-enhancing drugs in cycling — back in 1990, he quickly established himself as a journalist of considerable repute, mainly owing to the fearlessness that frequently characterised his work. Yet nowadays, Kimmage finds himself feeling increasingly pessimistic when it comes to his current trade. He no longer feels he would have licence to produce the type of controversial journalism that was highly influential in exposing Lance Armstrong among others — the industry has simply gotten too cautious, he believes. “I don’t think it would be possible now,” he tells TheScore.ie. “A big part of me thinks the game is up for journalism and certainly I think the game is up for the kind of journalism that I practice. I am pretty sure that will never happen again, which is very discouraging. It’s not as if Kimmage enjoys courting controversy, of course. The countless years of vilification, lost friendships and UCI lawsuits have taken their toll. In Rough Rider, his brother Kevin says that he has long since lost the “vibrant sense of humour” that was evident in younger days. Kimmage agrees that his relentless crusade against doping has “changed” him irrevocably as a person. During this protracted affair, Kimmage was made to suffer both in physical and practical terms. In addition to the constant stress he endured owing largely to the lawsuits he received, which threatened to ruin him, he also believes he was made redundant from his previous job at The Sunday Times as a result of these problems. And so to paraphrase a question Kimmage himself once asked when interviewing Eamon Dunphy, what does he see when he looks in the mirror? “I see a lot of wrinkles. I see a lot of stress sometimes. Watching the documentary was a larger mirror for me, and some of the footage — the shot of me in 1986 when I’m interviewed just after finishing the Tour de France is kind of shocking, because I see someone with a joy and a love for what he’s doing and when I look at that person now, I sometimes see a lot of stress and a lot of strain, although I’m still extremely happy with who I am. This talk of pressure and mental strain is not surprising. Kimmage’s combative brand of journalism has earned him as many enemies as it has admirers. Amid the publication of Rough Ride, he was effectively rendered an outcast in the cycling community, most of whom unwisely chose to ignore its underlying messages about the harm that doping was doing to the sport. These early warnings, of course, culminated in the admission of cycling’s biggest star, Lance Armstrong, that he consistently used performance-enhancing drugs during his seven Tour de France triumphs. And while Kimmage’s relationship with Armstrong is an important part of the story, it is one that features only sporadically in the film, which pleases the Dublin-born journalist. “This has never been about any individual and it has never been about Lance Armstrong. I started this 10 years before Armstrong won his first tour. It wasn’t about him then and it’s not about him now. “It’s very convenient for a lot of people in the sport to present Armstrong as the start of the doping problems in cycling and the time it got really bad and to announce him now as ‘the end’ and suggest he’s been banned in this new clean era. But that isn’t the case. Yet despite the disgraced US cyclist’s continual lying and cheating, some have been quick to forgive Armstrong owing to the supposedly genuine remorse he’s shown since. So can Kimmage understand, for instance, why former US Postal Service team masseur Emma O’Reilly forgave Armstrong after he called her an ‘alcoholic’ and a ‘prostitute’? Is there therefore any circumstance under which he could forgive Armstrong for his behaviour? “I’m not in the same position as Emma O’Reilly is in for a start. I was a journalist doing my job and it wasn’t ever personal for me, so it’s slightly different in that way. I’m not sure the aspect of forgiveness applies to me. Even now, Kimmage has hardly mellowed with age, and he continues to have a troubled relationship with the cycling world, even earning a reputation as ‘difficult’ among some sports journalists, partially as a result of his willingness to criticise them publicly. Moreover, the list of individuals that Kimmage has fallen out with over the years includes people who he counted as close friends at one point — the former Tour de France-winning cyclist Stephen Roche and the journalist David Walsh, both of whom feature as interviewees in Rough Rider, are among them. And while his falling out with Stephen Roche was, in many ways, inevitable, the same cannot be said as regards fellow whistleblower and sports writer David Walsh, who Kimmage has taken “inspiration from since the day I started journalism”. So with these failing friendships in mind, does he have many regrets from down through the years? “There are a lot of things I’d change, but with regards cycling? No. There are elements that you might change and stuff you wished you’d done better, but overall, no. Writing Rough Ride is the most important thing I ever did. The most important contribution I’ve ever made to my sport. I absolutely could not and would not wish to change that, and that will always be the bottom line. “I wouldn’t even change [taking performance-enhancing drugs], because that was an experience and it helped me to understand the power of the drug and it helped me to understand the temptation and the pressure to dope. At one point during the film, Jonathan Vaughters suggests that many cyclists genuinely believe that keeping quiet about drugs is the right thing to do. Does Kimmage agree? “I don’t think they genuinely believe that. I think they’re coached and coerced into thinking that, because it’s always been the culture. Keep your mouth shut and just get on with what you’re doing. “There are signs in this year’s race that are very encouraging, and there are other signs that are equally discouraging. What I find extremely discouraging is that you’ve still got the most successful riders in the race associated with people who should have no hand, act or part in the sport. And if these supposedly harmful influences are eventually thrown out of the sport, would that be enough to restore his faith in cycling? “That’s a starting point, but you’ve also got to analyse the performances. What I find encouraging about this year’s race is if you look at the difference between the riders, you take the leader out of it and you’re talking about a handful of minutes separating the top 10. Yet despite all Kimmage’s underlying pessimism and frequent feelings of disillusionment with the sport, he still somehow manages to retain a child-like passion for cycling at the best of times. Hence, it is no surprise to hear he plans on returning to the Tour de France next year. Email “Paul Kimmage: 'The game is up for the kind of journalism that I practice'”. Feedback on “Paul Kimmage: 'The game is up for the kind of journalism that I practice'”.